Answers to Your Common Criminal Defense Questions | Charles V. Hardenbergh, PC Can a Virginia court suspend my out-of-state license? If you're an out-of-state resident charged with a DUI or reckless driving in Virginia, don't assume that the court has no authority to suspend your license. Virginia judges can suspend your privilege to drive in Virginia, even to get home from court. This can result in a reciprocal suspension from your home state. License suspension for out-of-state residents convicted of a DUI or reckless driving is the result of the Driver License Compact. This is an interstate agreement to exchange information concerning license suspensions and traffic violations. As a result of the agreement, your home state treats out-of-state offenses as if they were committed in your home state. For minor offenses, this can mean points assessed on your driving record. For serious charges such as drunk driving, this can involve fines, license suspension, and jail time. 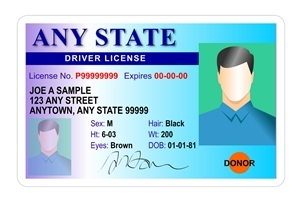 The goal of the Driver License Compact is to create a system with "one driver, one license, one record." Previously, drivers convicted of serious offenses resulting in suspension would simply apply for a license in another state. If you have a license in one of the five states that don't abide by the Driver License Compact, don't assume this means you're off the hook. Many of these states share driver information through other means. For example, Massachusetts shares information on license suspensions through the Registry of Motor Vehicles. Even if the Virginia Court does not suspend your driving privileges, some states impose automatic suspension for certain types of serious charges. This is allowed under the terms of the Driver License Compact, since out-of-state residents are to be treated as if the offense occurred in their state of residence. Representing yourself in court is never a good idea, and if you’re an out-state-resident, it’s extremely risky. To protect yourself, it's vital that you seek representation from an attorney who is familiar with this subset of the law.You can] use our reckless driving sentence estimator to see the results we've achieved for other drivers here. Contact attorney Charles V. Hardenbergh to learn more by calling 804-835-5127 or filling out a contact form here. If I’m charged with a crime, what are my plea options for defense? Is there any way to make jail time more convenient? What happens if I try to represent myself in court? Representing yourself in court is a serious gamble. You may have a good outcome, but without legal counsel, it may mean that you go to jail. Some courts will not even grant the accused an appeal bond. That would mean going from the courthouse directly to the jail and staying there until or unless the sentence is overturned on appeal. Courtroom TV dramas make beating a criminal charge look easy, but legal proceedings can be very complex. Attorneys know how to obtain copies of the police report and cite applicable case law. They know the subtle details vital to establishing guilt—details that are easy to overlook if you're not familiar with the law. Additionally, attorneys understand what is and isn't admissible as evidence. Taking your chances with self-representation on charges of drug possession, assault and battery, or breaking and entering is never a good idea, but even someone charged with reckless driving needs solid, professional legal advice. Virginia is tough on crime—especially on those accused of reckless driving by speed. If you try to defend yourself with weak arguments such as you were trying to keep pace with traffic, you were going downhill, or you simply didn't realize how fast you were going, you risk jail, license suspension, a permanent criminal record, and a hefty increase in your insurance rates. Even your job could be at risk because you might lose your CDL and/or security clearance. 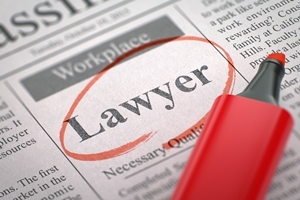 People often hesitate to hire an attorney because they're worried about the cost of representation. However, a good defense can mean the difference between clearing your name and a conviction that can permanently damage your reputation. Making sure your rights are protected is an investment in your future. Attorney Charles V. Hardenbergh has dedicated his career to helping Virginia residents achieve the best possible outcome for their case. Call (804) 835-5127, or complete our online contact form to make an appointment for a free, confidential consultation.